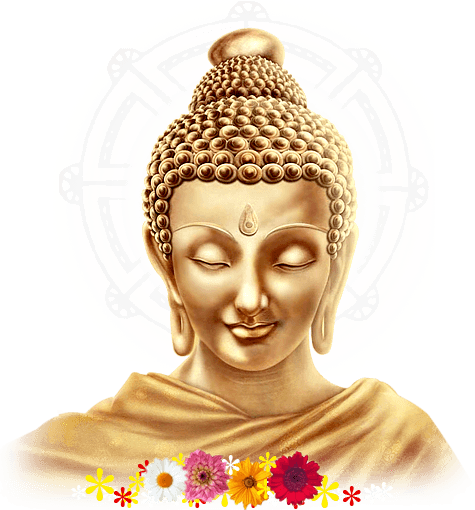 Buddhism was first introduced into the Korean region when it was divided into the three kingdoms of Paekche, Koguryo, and Silla. After Buddhism was brought to the northern kingdom of Koguryo from China in the 4th century, it gradually spread throughout the other Korean kingdoms. As often happened, the new faith was first accepted by the court and then extended to the people. 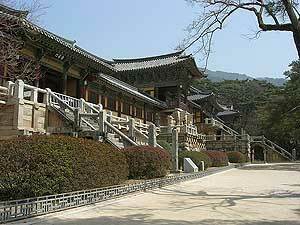 After the unification of the country by the kingdom of Silla in the 660s, Buddhism began to flourish throughout Korea. The monk Wonhyo (617-686) was one of the most impressive scholars and reformers of his day. He was married and taught an "ecumenical" version of Buddhism that included all branches and sects. He tried to use music, literature, and dance to express the meaning of Buddhism. Another scholar of the Silla era was Ui-sang (625-702), who went to China and returned to spread the Hwaom (Hua-yen in Chinese) sect in Korea. The Chinese Ch'an sect (Zen) was introduced in the 8th century and, by absorbing the Korean versions of Hua-yen, T'ien-t'ai, and Pure Land, gradually became the dominant school of Buddhism in Korea, as it did in Vietnam. Early Korean Buddhism was characterized by a this-worldly attitude. It emphasized the pragmatic, nationalistic, and aristocratic aspects of the faith. Still, an indigenous tradition of shamanism influenced the development of popular Buddhism throughout the centuries. Buddhist monks danced, sang, and performed the rituals of shamans. During the Koryo period (935-1392), Korean Buddhism reached its zenith. During the first part of this period the Korean Buddhist community was active in the publication of the Tripitaka Koreana, one of the most inclusive editions of the Buddhist sutras up to that time. After 25 years of research, a monk by the name of Uich'on (1055-1101) published an outstanding three-volume bibliography of Buddhist literature. Uich'on also sponsored the growth of the T'ien-t'ai sect in Korea. He emphasized the need for cooperation between Ch'an and the other "Teaching" schools of Korean Buddhism. Toward the end of the Koryo period, Buddhism began to suffer from internal corruption and external persecution, especially that promoted by the Neo-Confucians. The government began to put limits on the privileges of the monks, and Confucianism replaced Buddhism as the religion of the state. Though the Yi dynasty (1392-1910) continued these restrictions, Buddhist monks and laymen fought bravely against the invasion of the Japanese armies under Toyotomi Hideyoshi (1537-98) in 1592 and 1597. In the decade before the annexation of Korea by Japan (1910), some effort was made to unify Korean Buddhism. These efforts, as well as the subsequent efforts of Buddhist "missionaries" from Japan, were largely in vain. Since the end of World War II, Buddhism in Korea has been hampered by communist rule in North Korea and by the great vitality of Christianity in South Korea. Despite these challenges, Buddhists, particularly in South Korea, have preserved the old traditions and initiated new movements.